“The second you go near the lake area, it is on you. Nobody gets away,” says Sanchita Jha, a resident of Bellandur. She is referring to the flying froth from the Bellandur Lake. Every time Sanchita steps out of her home, she is forced to look out for the flying lump of white foam from the Bellandur lake that might fall on her. 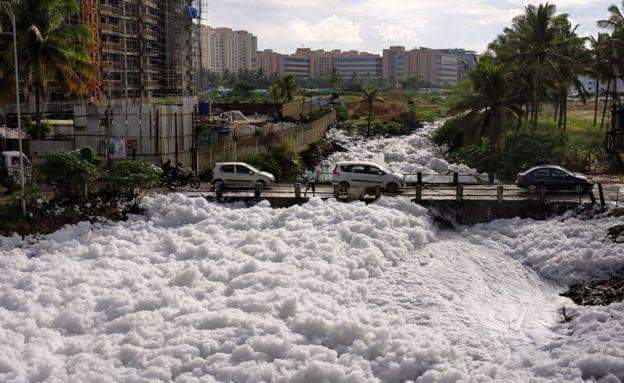 This is what made 26-year-old Sanchita Jha, a resident of Bellandur and an IT employee, start the "Clean Up Bellandur Lake" petition on Change.org three weeks ago. For residents like Sanchita, this is a recurring problem and almost all feel the government is not doing enough to deal with it. Construction debris, untreated sewage and waste are being dumped in the lake for decades now, which has lead to this problem. "Not only is the toxic froth causing health problems like skin allergies, even the ones who want to use their vehicles are thinking twice. Vehicles tend to lose their lustre when they come in contact with the froth," says Sanchita Jha. The bridge over the lake, which has been covered with froth, connects residents of Bellandur to other places. But people are forced to use longer routes to reach areas like Marathahalli, just so that they can avoid the froth. She started the petition three weeks ago when the frothing lake was just starting to get a lot of attention in the media. Currently, about 15000 people are supporting the petition and it is getting a good response in the facebook group "Save Bellandur, Save Bangalore" too. Sanchita said "My appeal to the government is that they should order a thorough cleanup of the lake instead of resorting to temporary solutions like sprinklers to subside the froth and the installations of mesh to stop the froth from flying.” The petition will be handed over to Ramanath Rai, the state minister for environment, forests and ecology. Sanchita has also started a Twitter campaign. "We are going to use every opportunity we get. We are going to tag Prime Minister Narendra Modi who is in Bengaluru on Tuesday, in our posts," she said. 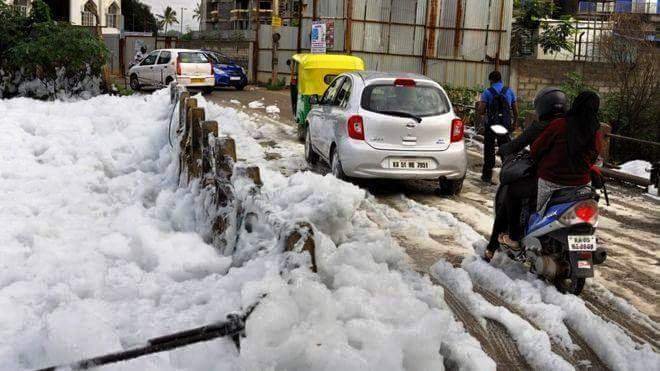 Two Indian Institute of Science (IISc) students, who tested the Bellandur Lake water for toxic content a few months ago, started vomiting within two hours of being around the area. "So you can imagine the state of the residents," she said. Preethi Herman, Country Lead of Change.org said: "Through Sanchita's Change.org petition, over 15000 people of Bengaluru have come out to express their concern on the issue and ask for a solution. This is an opportunity for the Karnataka government to engage with concerned citizens and address an issue that has grave consequences for Bengaluru city."